Could this be the eleventh-hour bid that saves Sears from liquidation? Good news for fans of the 126-year-old iconic American retail brand. Sears Holdings Corp Chairman Eddie Lampert today submitted a new and increased bid to take over the company -- “roughly $5 billion,” Reuters reports Wednesday evening. Lampert's bid earlier this week was rejected. Today's news provides one seemingly final chance that the more than century old U.S. department store will escape liquidation. In a concession, Lampert agreed to assume tax and vendor bills Sears has incurred since filing for bankruptcy protection in October, the sources said. The billionaire’s revised bid was submitted through an affiliate of his hedge fund, ESL Investments Inc, on Wednesday afternoon along with a $120 million deposit, the sources added. Lampert’s previous bid, which Sears had rejected, was valued at $4.4 billion. The new bid, which Sears will consider during a Jan. 14 bankruptcy auction, proposes assuming up to about $300 million of tax and merchandise expenses the 126-year-old company has racked up since its Oct. 15 bankruptcy filing, the sources said. The offer, which aims to preserve up to 50,000 jobs, also would assume up to roughly $350 million in additional Sears bankruptcy expenses, severance benefits for employees and other liabilities, one of the sources added. Sears employed about 68,000 people when it filed for bankruptcy. Sears, long known by its longer form name as Sears, Roebuck and Co., began as a mail-order catalog business. 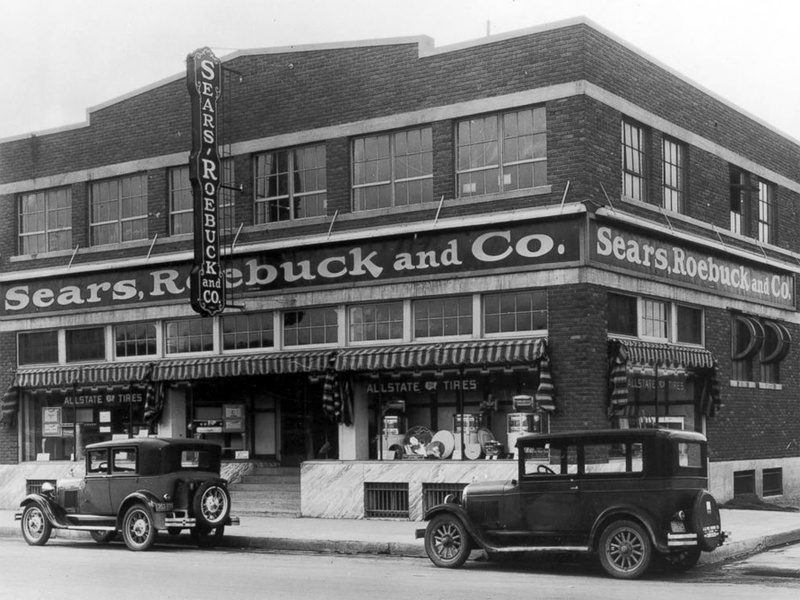 The first Sears retail store opened in Chicago, in 1925. Roebuck was the name of the man that Sears hired as a watch repairman. They eventually became business partners. PHOTO: The storefront of a Sears, Roebuck and Co. store is seen in El Paso, Texas, circa 1940. Photographer unknown.